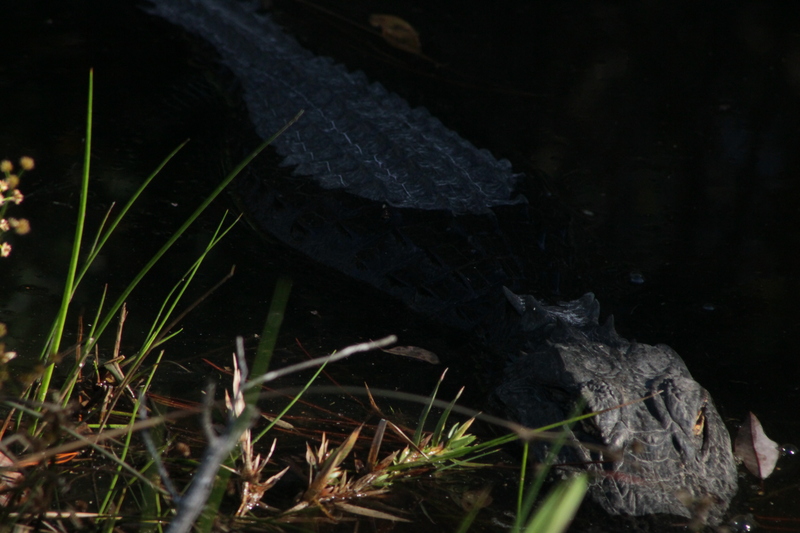 Those who know me well know that I am a Gator fan. 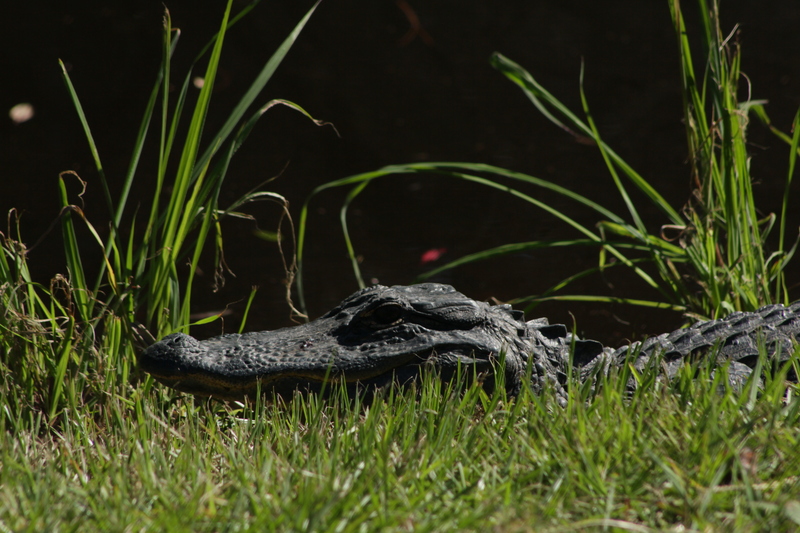 Not just the Gators affiliated with the University of Florida, but also a big fan of Alligator mississippiensis, or the American Alligator. 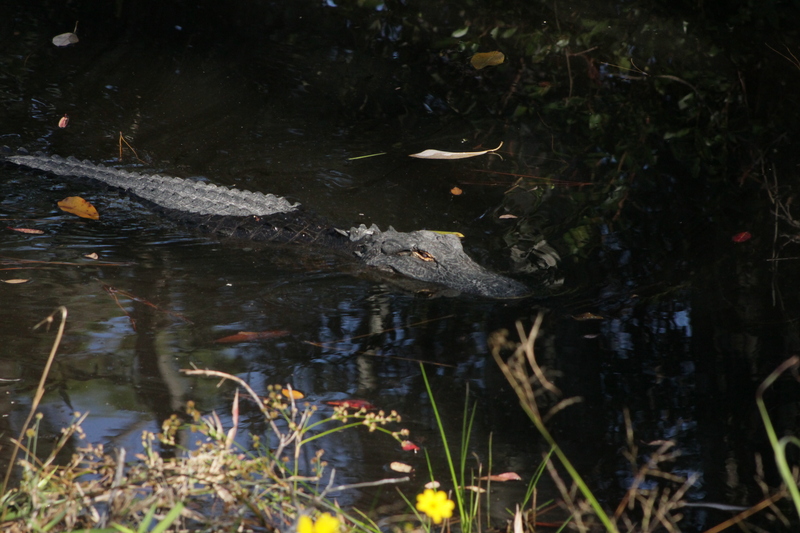 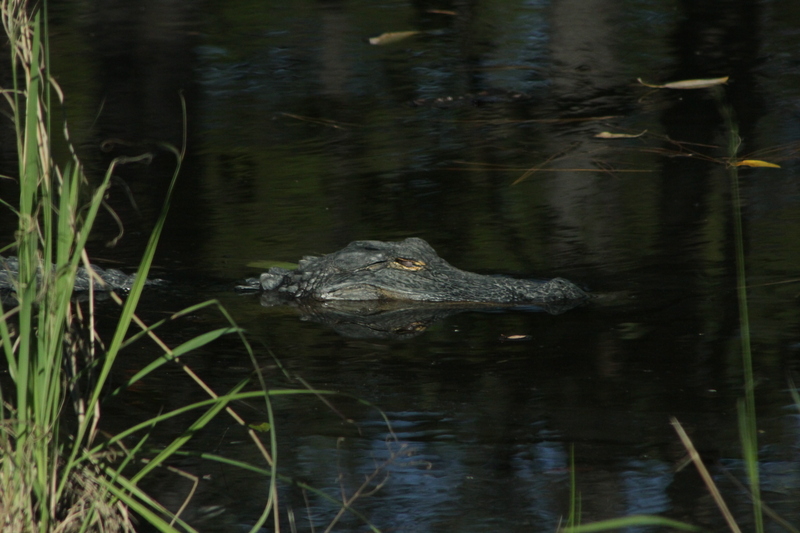 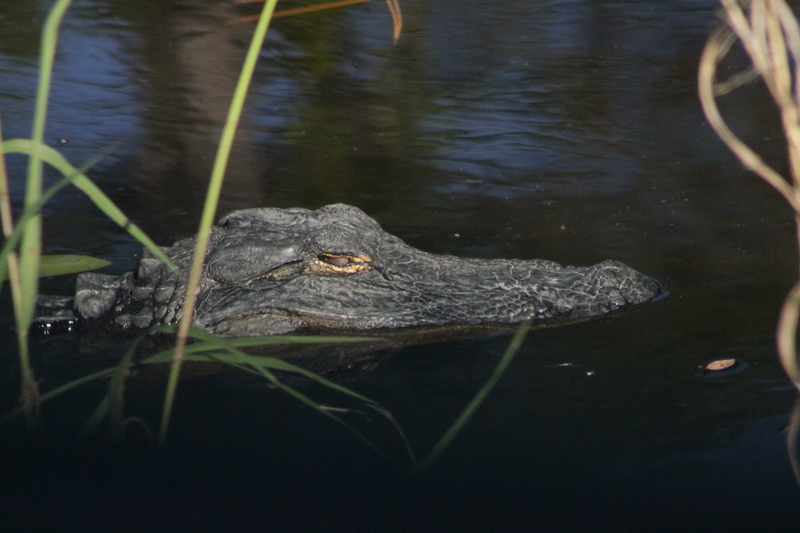 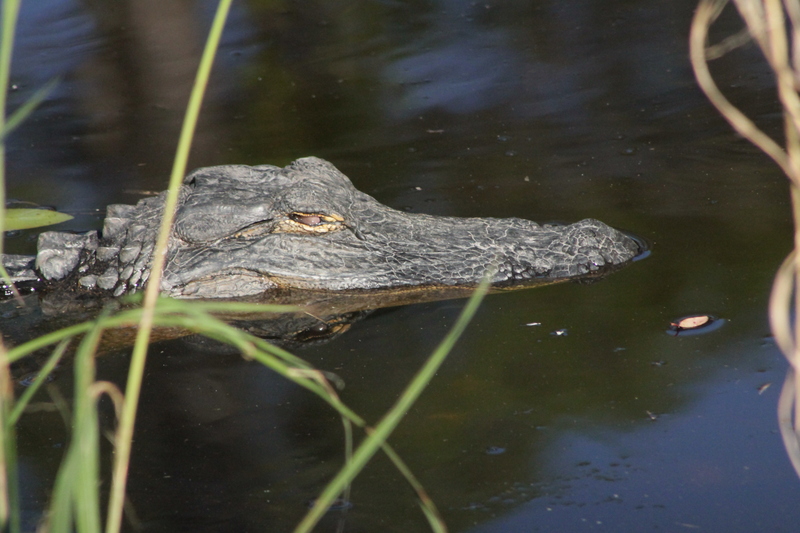 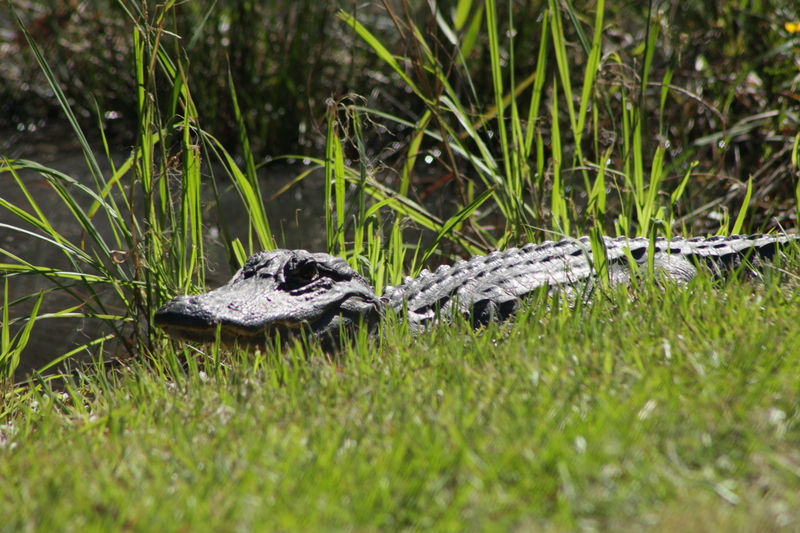 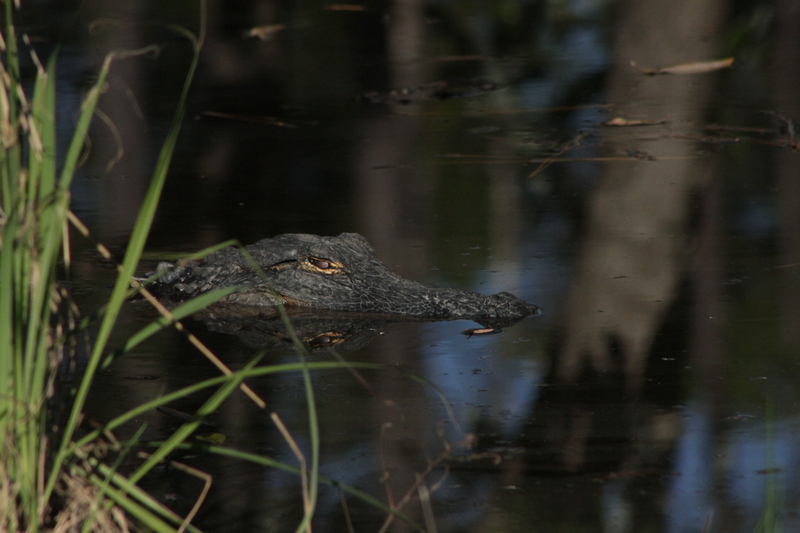 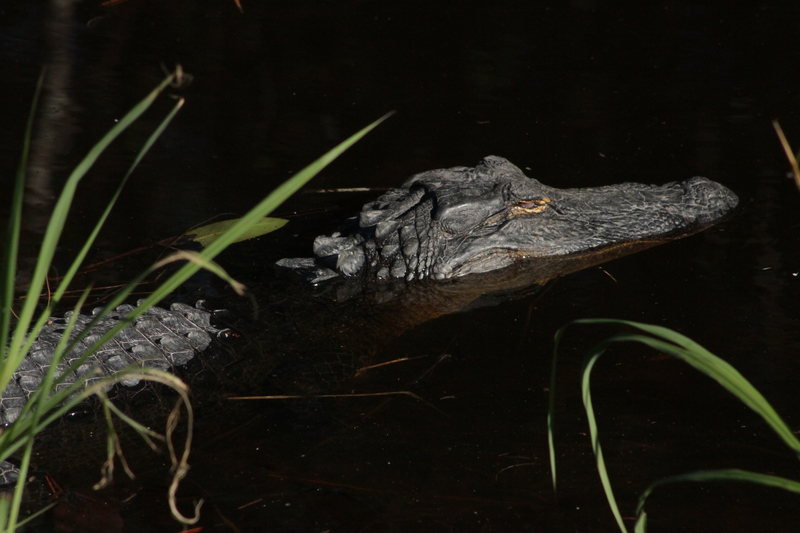 I cannot begin to tell you how many times I have been to Paynes Prairie Preserve State Park and for some reason only managed to see 1 alligator. 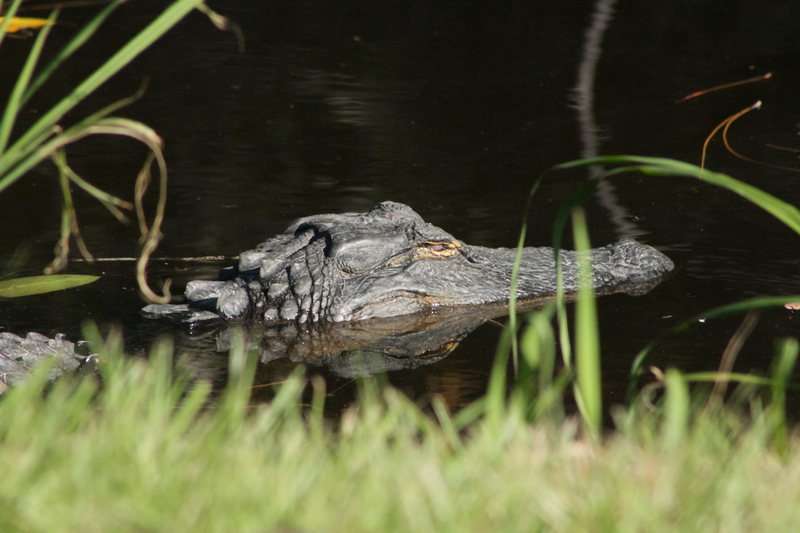 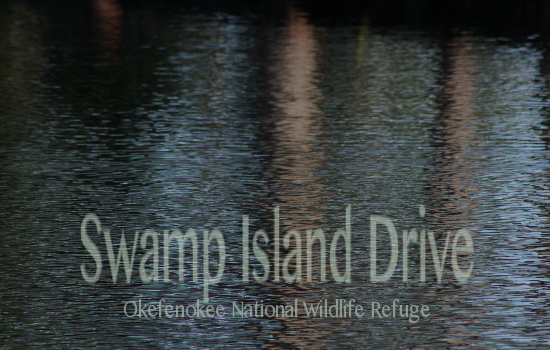 Imagine my delight as I drive down Swamp Island Drive at the Okefenokee National Wildlife Refuge and I see this beautiful animal laying along the side of the road. 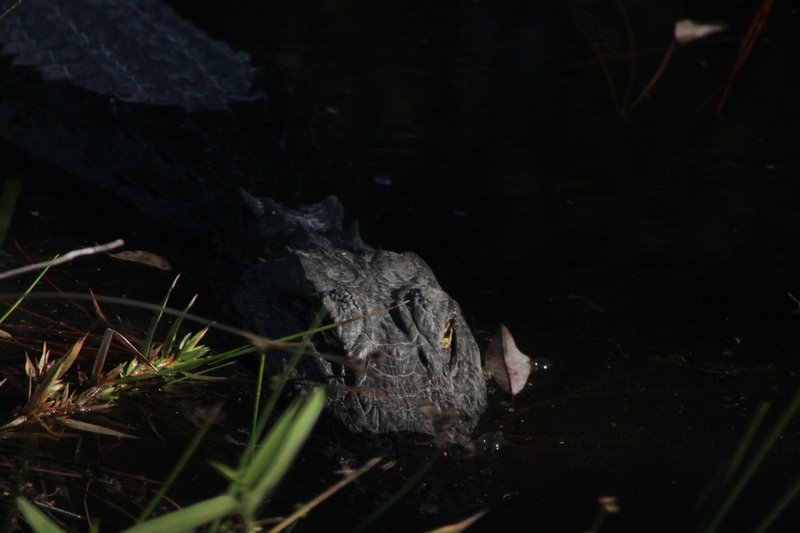 I could have sat there and easily taken 10,000 pictures of this one gator alone. 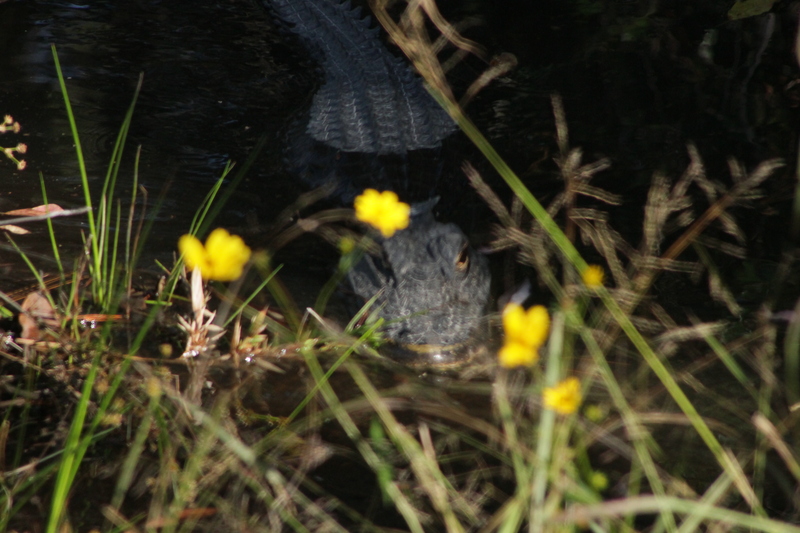 This gator was only a baby, maybe a year old and about 2.5-3 feet long. 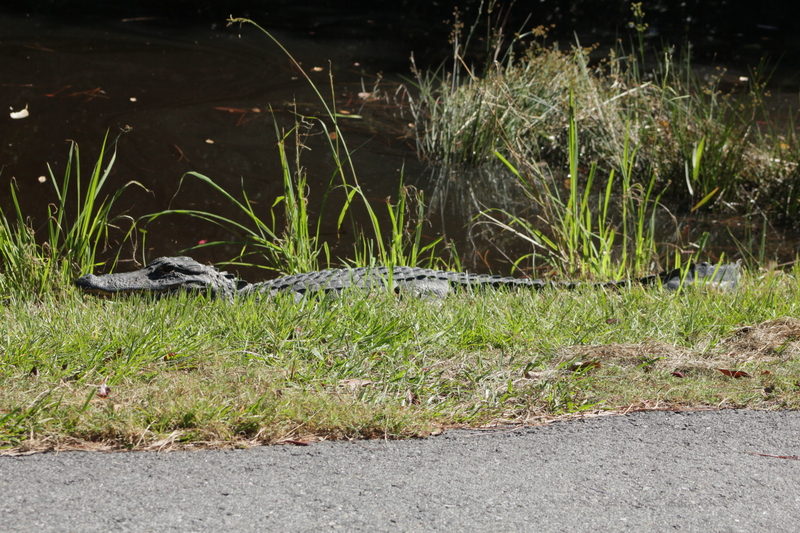 Note: The last few pictures where the gator seems to be circling around… yes… it was circling around right towards me. 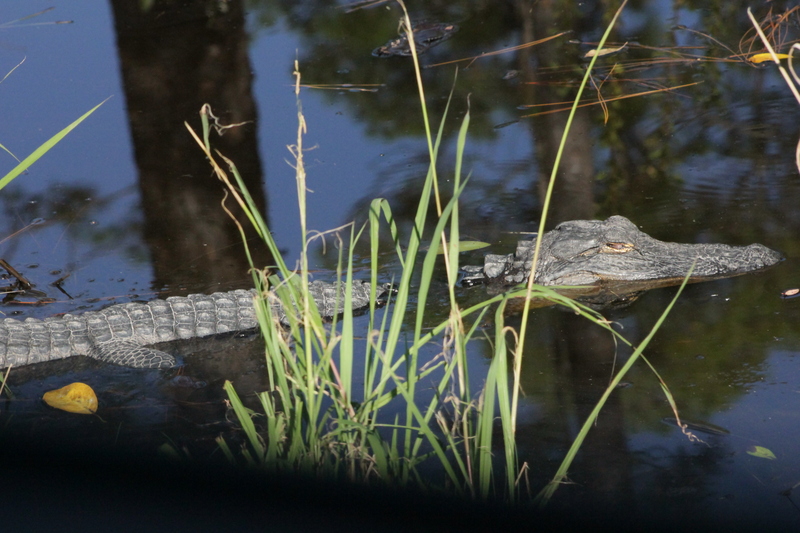 Yes… I got out of SwampRat (my Jeep Wrangler).